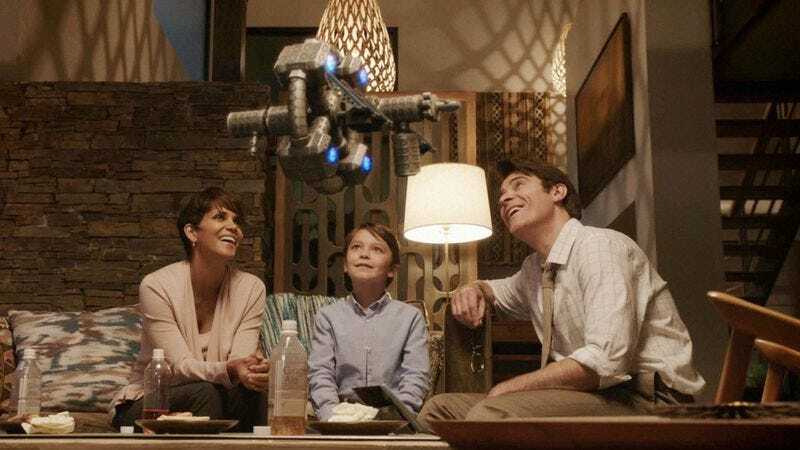 Good news for fans of shows that take place under giant invisible enclosures and/or feature Halle Berry struggling through ridiculous plot points: TV Line reports that both Under The Dome and Extant have been picked up by CBS for next year. Meanwhile, the Southern legal drama Reckless—which has neither of those things—has been canceled. While Under The Dome has maintained its status as the top-rated scripted series of the summer TV season (once the Live+7 DVR numbers are included), it has nonetheless dropped in viewership from season one. The second season of Hank from Breaking Bad walking around and yelling at people averaged 11 million viewers and a 2.7 rating. That’s a lot of people who apparently still haven’t realized the very simple trick to escaping the dome: Following the lead of former showrunner Brian K. Vaughan and just asking politely. Likely factoring heavily in the decision to renew was the cost-sharing agreement with Amazon Prime, which pays CBS a reported $900,000 per episode to be the sole streaming site for both programs. Under The Dome and Extant will begin their third and second seasons, respectively, in summer 2015.